Wentworth Laboratories are delighted to be showcasing their wide range of wafer probers and probe cards at the forthcoming SEMICON Europa 2018 to be held from 13th to 16th November at Messe München, Munich, Germany. Visit us on stand 166 in hall 4 where our team of experienced consultants will be available throughout the event to discuss your probing requirements. We are always happy to demonstrate how our tailored solutions can help you achieve even your most ambitious probing objectives. SEMICON Europa promises to be the ideal event to meet, network and exchange with industry leaders in the semiconductor and electronics manufacturing supply chain and be at the forefront of innovation trends. 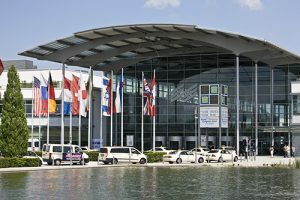 Co-located with Electronica 2018, it forms the strongest single event for electronics manufacturing in Europe. We have a limited number of free day tickets available, so please contact us to claim yours.